Thinking about heading to Marin this weekend for some nature and sunshine? Hahahahaha. Yeah... no. But if you were, don't. The Golden Gate Bridge will be closed starting at 12:01am on Saturday and won't reopen until 4am on Monday. Anyway, this time, the bridge is shutting down for the installation of a moveable median barrier, part of a $30 million effort to prevent head-on collisions on the GG Bridge, something anyone who's ever driven in the "suicide lane" can definitely get behind. Those plastic tubular pylons that are used to separate opposing lanes of traffic? Yeah, those are going bye-bye and are being replaced with a concrete median that will be moved by a zipper truck depending on traffic flow. Safer for drivers and for the dudes who have to physically move the lanes every day. 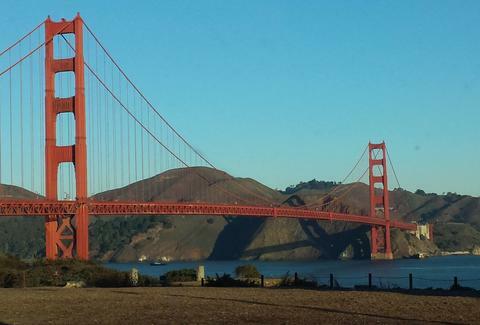 Oh, and since the Golden Gate Bridge closure is sure to be a hot topic all weekend, check out 13 Things You Didn't Know About the Golden Gate Bridge so you can impress all of your friends with obscure fun facts (like that the foghorn once blew for 15 days STRAIGHT). Daisy Barringer is Thrillist's SF Editor and it appears her biggest claim to fame is that she walked across the bridge for the 50th anniversary in 1987. Well, kind of. Due to the human gridlock, she and her family only made it halfway. Follow her on Twitter @daisy.